Lately, I’d say over the past 2 or 3 years, I’ve been getting progressively more nostalgic for the days of my youth. One major aspect of my childhood happened to be comic books. I remember that I would get an allowance from my parents and I’d promptly go to a couple of the local corner stores to by a comic or two. Over the years, up until my pre-teens, I’d built up a considerable collection. 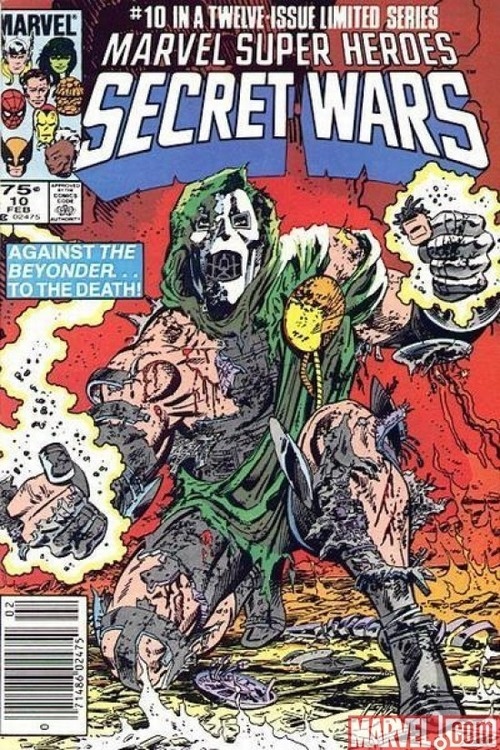 I remember having Transformers comics, Spider-Man, Groo the Wanderer, Conan, Moon Knight, ROM, the Marvel Universe Handbook and, one of my faves: Secret Wars. I probably had a lot more titles but those are the ones that stand out in my mind. This was when we lived in Brandon, Manitoba. Then, my parents decided to move the family back to Kitimat, BC, where I’d been born. While this was an exciting development, one thing was not so much exciting as it was tragic: my dad made me get rid of most of my comics. I don’t recall which ones I decided to keep, suffice it to say not many of them survived the cross-country relocation. One unfortunate thing about moving back here was that there weren’t many places to buy comic books, there certainly wasn’t a dedicated store for it. They might have sold some at one of the drug stores; Pharamsave and Northern Drugs most likely sold the odd comic book. As neither of those places are around anymore and have been gone for many years, I really can’t say I remember. While Kitimat was a veritable comic book wasteland, one region I found to be much more comic book-friendly was Vancouver Island, where a cousin of mine lived. I’d go down to visit there often and would get my comic book fix. There was an actual comic book store in Duncan, the town nearest to where my cousin lives. While I didn’t replace many of the issues I might have had previous to the move, I did start up a new collection. Gone were the Transformers, in came the Punisher, Wolverine, X-Men, Lobo, Todd McFarlane-era Spider-Man and soon after, Spawn and a cavalcade of other Image comic titles. Those were my late teenage years. As a younger child, I’d seen comics as merely entertainment and a great drawing teacher, as I got older I started to see them less as fanciful distractions and more as investments. It was around this time that I started making a conscious effort to try and preserve my comics by exercising the 3 B’s: bagging, boarding and boxing. I also started making more of an effort to collect all issues of a series that I liked, such as Spawn. I also began collecting what I could of artists that I favored, such as the aforementioned Todd McFarlane, along with Jim Lee, Frank Miller, John Romita Jr, and Mark Texiera. All that time, however, I kept meaning to get the Secret Wars series back into my collection. It would never happen, though. Whether it was because I couldn’t find any issues or if I just wasn’t really looking, I don’t recall. In these modern times, however, you don’t even need physical copies of comics to own them. Recently I discovered Comixology, which is a website that sells digital copies of comics from Marvel, DC and some Image. The selection isn’t as nearly extensive as it could be, most noticeable by its absence is Spawn. Aside from that, many older titles start with the first 10-20 issues then jump up to the hundreds, leaving quite a considerable gap in between. To a serious collector, that’s not exactly ideal. Whether more issues will be added as time goes on remains to be seen. One series they do happen to have in its entirety, however, is Secret Wars. After some deliberation, I decided to sign up and buy a digital copy of the series that I hadn’t read in probably more than 2 decades. As it had been so long ago, I had forgotten most of it and didn’t know what to expect from it. It was like reading it again for the first time, and I was quite surprised by what I read. Disclaimer: this next section is riddled with spoilers. If you have any desire to read this comic book series, I suggest not reading the rest of this blog post until after you have done so. Okay, maybe they were trying to appeal to the younger generation but that might be classified as trying a little too hard. I mean there’s a difference between genuine attempts to relate to an age group and full-on, shameless pandering. Okay, so exactly how long has it been since anyone referred to a female as a “squeeze”? A lot of this was done, I’m assuming, to add humor to the story but it is a tad on the corny side. They call each other “jerks” quite a lot too, things like that miss the mark a little and bring the series further away from what it could have been. Another thing that I think took away from it was the choice of characters. This was meant to be the ultimate clash of the Marvel universe and they had a lot of characters I didn’t particularly care for. An example is a group of villains known as the Wrecking Crew, neither of which I remember hearing of before the series and have never heard of again since. The two Doctors, Doom and Octopus, were sensible choices, but I felt the rest of the bad guys left a little something to be desired. All that aside, I was impressed by the fact that it wasn’t just a generic Good Guy Vs. Bad Guy battle. There are basically five different groups fighting, not only the other side, but each other as well. Some individuals switch allegiances and some have no discernable allegiance at all. Each faction has its own method of dealing with the situation they’ve found themselves in. It’s interesting to see how each group attempts to meet its goal and how far they’ll go to get to it. Now come on, tell me that isn’t badass.